Should you use Tinder in Qatar? Dating apps can be useful for meeting people in cities like Doha, which have a strong expat population. However, are they safe? Are they legal? Should you approach dating differently? Well, yeah. Personally, I don’t think there’s anything wrong with dating people from different countries in a country like Qatar, where there are lots of expats and travellers hanging about. It’ll broaden your cultural horizons and it can be a lot of fun to meet people from different walks of life. Here are a few things to keep in mind, if you fancy giving Tinder in Qatar a go. Note: This article was written years ago, in the golden age of dating apps, when they were new and exciting and not the abyss of despair that I hear they are now. Above all PLEASE be safe and always organise to meet people in public spaces for the first time. 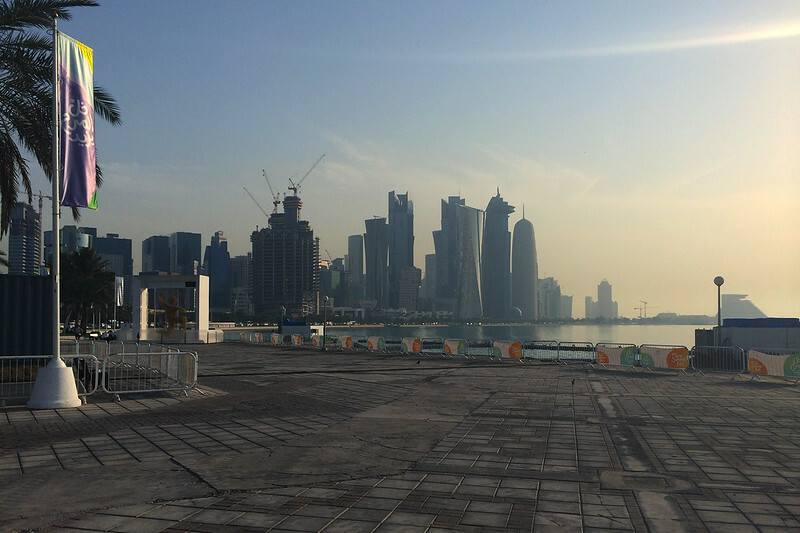 Being a social person, I felt like I was going a bit mad three weeks into my time in Doha – outside of work, I wasn’t really meeting people. So, when I started using Tinder to meet people that I didn’t work with, I was careful not to go too crazy with it. As in, agree to meet up with people simply on the basis of wanting some kind of social interaction. Normal rules apply. Aim to match with people who you’d flick a right-side like to in your own country. Talk to them, get to know them a bit, as much as that two-bit app allows. Related: How Safe is it for Women to Travel to Doha, Qatar? When you’re feeling comfortable enough to go on a date, common sense applies. Meet them somewhere where you feel comfortable – maybe invite them along to “Chilli-Dog Tuesday” at the St. Regis, for a cup of tea in City Center, shisha in the Souq Waqif or Trader Vics at the Hilton for a tipple. Just make sure you meet on your turf, somewhere you feel comfortable. And preferable somewhere that is surrounding by people. In City Centre at the very least, this is more than easily done. The City from the corniche. You may be on a date, but keep in mind that you’re in a country where Sharia Law is recognised and upheld. Men and women are unable to hold hands or kiss in public, which makes dating… interesting. Easy enough on the first date, but if you’re actually seeing someone, it can be difficult to restrain from touching each other entirely in public. There were a few times where the fellow I was seeing and I may have resorted to covert games of footsies under the table at restaurants. It was fun, in a way. 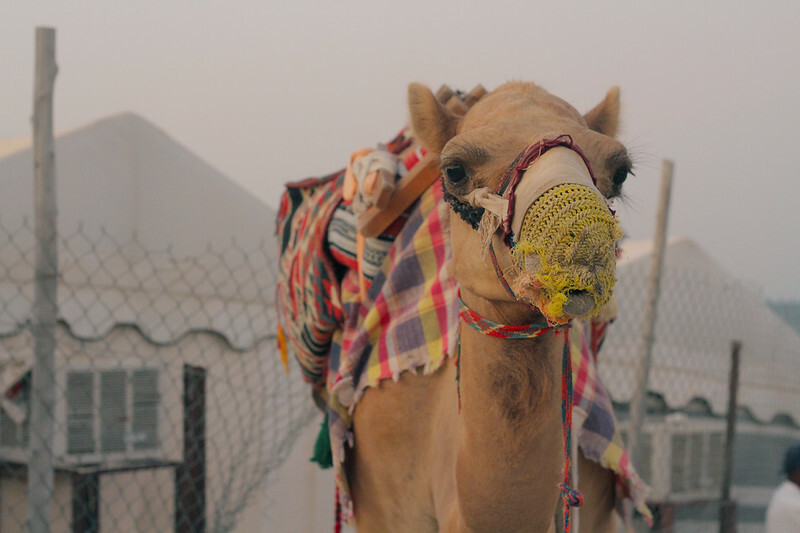 Related: Should You Travel to Doha, Qatar During Ramadan? The dress code in Doha for women is probably not as bad as you may imagine. You don’t have to cover up entirely or wear a headscarf. You essentially need to make sure your shoulders and knees aren’t on display. There’s a lot that you can do within these parameters, if you want to look nice. Shawls and pashminas become your best friend. You can still wear long, flowy skirts and maxi-dresses, which can look pretty nice, especially with the right jewellery (and you can get some mighty nice bits of bling in the souq). And as for heels… well, I once nearly got kicked out of a club for not wearing them. Make of that, what you will. (Needless to say, I was not impressed). Personally, I like using dating apps simply to meet or talk to people. There’s often no agenda. You have to sort through some crap sometimes (and go on a few dud dates) but I’ve used apps to make friends and have had some really fulfilling relationships start from a simple conversation online. And no matter what people say (ie “I want a story about how I met my true love!”) trust me – you’ll still come away with some pretty good tales (often best reserved for dinner parties). I’d been texting one fellow for a week or so and agreed to meet up with for tea in the City Centre – the name of the local shopping centre. He showed up covered in tattoos, which normally I’m not the biggest fan of. But he had seemed really lovely and we talked fairly easy via text. I wanted to see if that transcended into real life. We bantered back and forth for a bit, mostly about travelling, a popular topic of conversation among expats. He told me he was going to Iceland and Greenland in the next month, which we were able to chat about for some time, as I was going to Iceland later on that year. The conversation finally stagnated and in a panic, I seized upon the first thing that came to my mind. “You have a Tolkein quote on your arm,” I said, rather stating the obvious. “Not all those who wander are lost. It’s a line from the poem: ‘All That is Gold Does Not Glitter,’ which is in LOTRs.” And featured on pretty much every travel blog on the Internet, I thought to myself. My Indian driver was quite concerned about my then state of singledom and it was a topic he addressed on a weekly basis. I began seeing a boy who I really quite liked. Our dates so far had consisted of watching movies at each other’s houses, where we were free to cuddle away from the prying eyes of the outside world. Walking back from a takeaway shop at one point, we had dared to hold hands briefly, momentarily forgetting where we were, whilst there was no one else in sight. A figure had then appeared in the distance and we’d disengaged, feeling like naughty school children caught doing something wrong. One night we met in the local marketplace, known as the Souq and picked out a Moroccan restaurant. Feeling daring, I chose camel off the menu, then sat back, unsure of what to do next. There is such joy involved in dating someone new, whom you are actually keen on. It’s near impossible to keep your hands off them. And so, it felt so strange to sit in public and be unable to touch each other whilst in the eyes of the public. Footsies under the table wasn’t quite cutting it. I’d been chatting for a couple of hours with another fellow on Tinder. This has been really nice, he wrote. But I’ll have to say goodbye for now. I have an event to go to. No worries, me too. I wrote. An hour later, I saw him at the same hotel club, hanging out with the same group of people. The expat community in Doha is tiny. I was seeing another boy, a cute, bespectacled Englishman. It was Ramadan and he was fasting. 1. Having juice at the shopping centre. 2. Getting a cheese platter and scoffing ourselves full after sundown. 3. Playing Monopoly at my place for three hours, until I started to get a headache. As it turned out, I hadn’t drunk any water for hours and had been inadvertently fasting too. “So LC, you’re going back to Australia?” My driver inquired, as he chauffeured me to my hotel on my last day in Doha. “I sure am,” I replied. “And you will get married when you are back home?” He seemed so hopeful for me. I was touched. All in all, I don’t believe there’s anything wrong with using Tinder in Qatar and it certainly was considered quite normal in 2014. I certainly didn’t meet the love of my life, but did get to spend time with some really cool people as a result. I honestly think the experience of living in Qatar would have been far less interesting and ultimately rewarding if I hadn’t tried dating in Doha. Je ne regrette rien. Just use common sense. Meet where you feel comfortable and safe. Dress conservatively. And stay within the law. Have you tried dating in the Middle East? Is it Safe for Women to Travel to Doha, Qatar? I am a resident of Qatar and well… A student. But I don’t have much freedom to do anything as I do not work here. 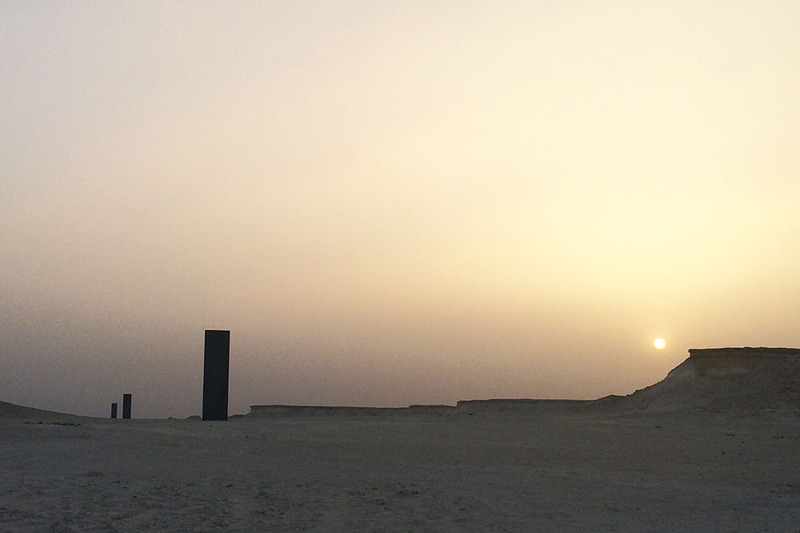 But yes, Qatar is a beautiful place. But you haven’t written about Qatar in your ‘Destinations’ yet? Anyways, it was a nice article and made a lot of sense. Hope to read more articles like this in the future. Thanks Sajit! I have, I just hadn’t really organised my destinations properly yet haha. It’s there now. Good luck with your studies.